Visual Studio Setup and deployment Projects provides to make an executable or installer file in .NET windows application is easy and rapidly. 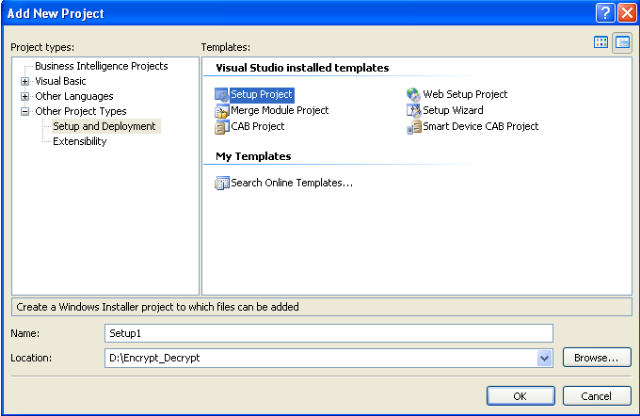 Visual Studio provides templates for four types of deployment projects: Merge Module Project, Setup Project, Web Setup Project, and Cab Project. In addition, a Setup wizard is provided to help step you through the process of creating deployment projects. 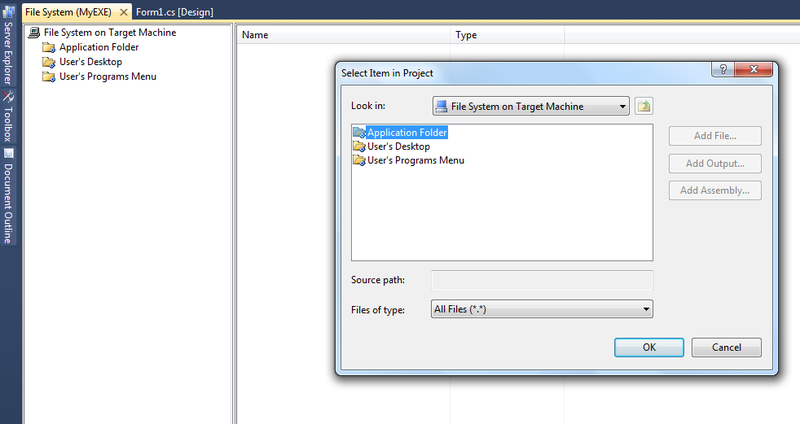 You can see the templates and the wizard in the New Project dialog box under theSetup and Deployment Projects node. The following are guidelines for choosing the right type of deployment project for your project. 1)Merge Module Project : Packages components that might be shared by multiple applications. 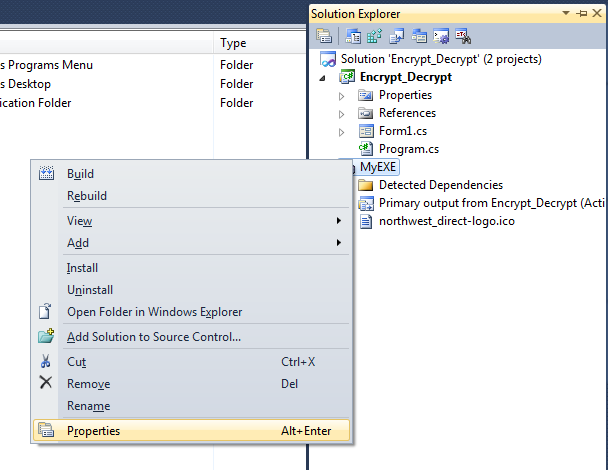 2)Setup Project : Builds an installer for a Windows-based application. 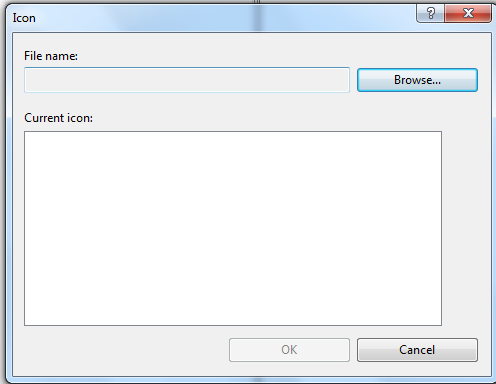 3)Web Setup Project : Builds an installer for a Web application. 4)Cab Project : Creates a cabinet file for downloading to a legacy Web browser. 5)Smart Device Cab Project : Creates a Cab project to deploy device applications. This topic demonstrates deployment using a Setup and Deployment Project. 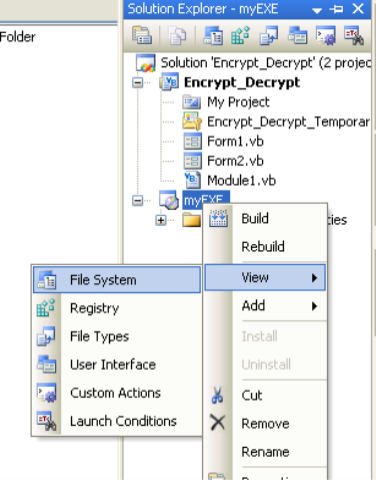 Setup projects allow you to create installers in order to distribute an application. The resulting Windows Installer (.msi) file contains the application, any dependent files, information about the application such as registry entries, and instructions for installation. When the .msi file is distributed and run on another computer, you can be assured that everything necessary for installation is included; if for any reason the installation fails (for example, the target computer does not have the required operating system version), the installation will be rolled back and the computer returned to its pre installation state. 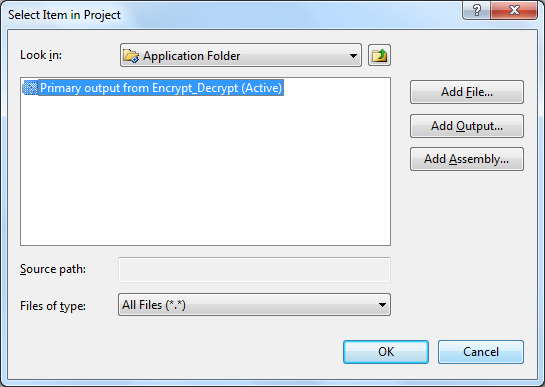 The following steps will gives the elegant guidance to create an executable or installer file. 1. 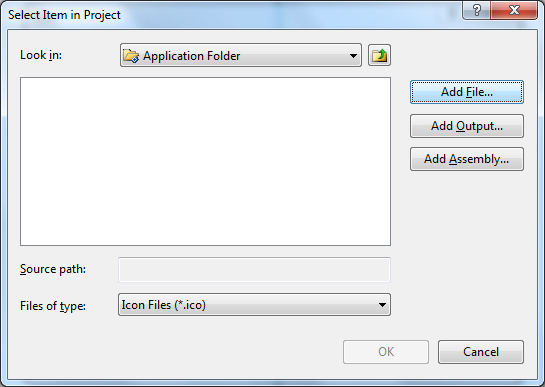 Go to file menu > click Add > new project >now “Add New Project” dialog will appear. 2. Select the “Other Project Types” and click “Setup and Deployment” projects,Choose “Setup Project” give name project name in name text box finally click OK.
3. 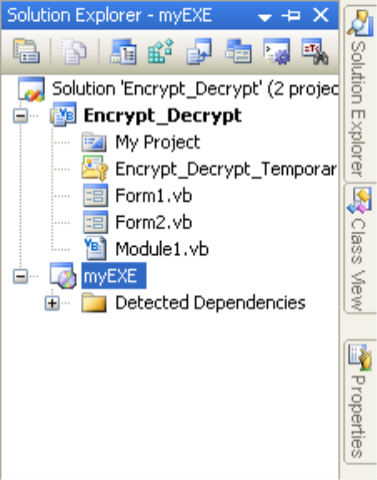 New project appear in solution explorer,for eg., you have give the name “MyEXE” file will be displays with given name. When you want to install the EXE on the client machine, before you should be installed .NET Framework on that machine because, Applications and controls written for the .NET Framework v2.0 requires the .NET Framework Redistributable Package version 2.0 to be installed on the computer where the application or control runs. 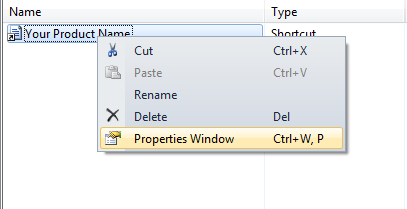 User should follow the same steps for shortcut added to User’s Program Menu. Install your setup in target machine, You can view the shortcuts in Desktop and Start Menu. Prerequisites are provide support resources to run the installed process on your target machine. Visual Setup and Deployment projects are automatically detect the required prerequisites need to install the system. But the question is what is the source for install the prerequisites? 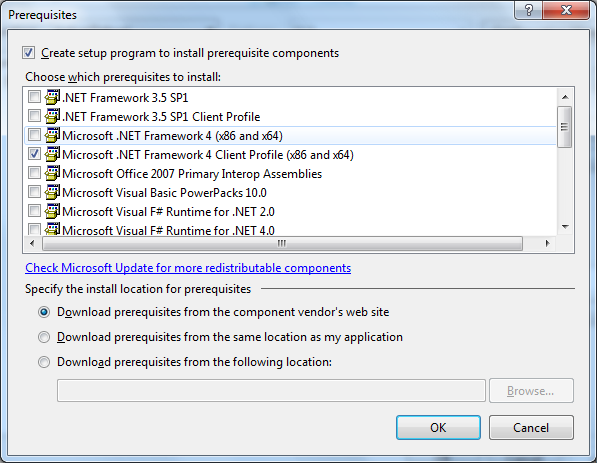 No need to worry, Visual Studio IDE provides three options to install the prerequisites on your system. 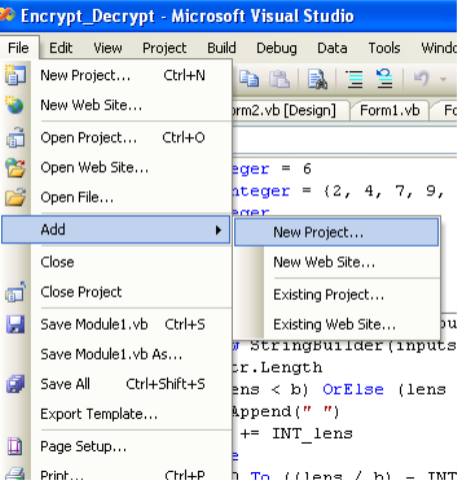 How to add prerequisites in Visual Studio? 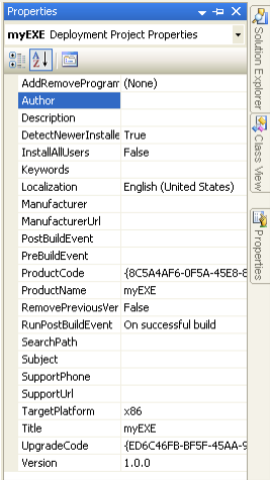 Click ‘Ok’, prerequisites will associate based on your install location selection. Why not use the SQL Server Service Broker? Firstly because it ties you to use the Standard or a higher edition of SQL Server, which has a hefty license cost. Using my approach you can use the free SQL Server Express and install a couple of them on a cheap VM and setup a pretty scalable “Service Broker” cluster. Scaling out is cheap – just install another VM, install the free SQL Express, and you are done. You can build a large cluster of message storage and distribution service without paying for any SQL Server license fee at all. Moreover, you can create the service using pure .NET code, unit test them and debug them easily on production without having to attach a debugger to SQL Server Service Broker. Anyone who has worked with CLR stored procedures knows the pain of releasing newer versions. Pure .NET code makes debugging, crash dumping, exception logging, etc. straightforward and cheap. It gives you the ultimate flexibility since you have full control over a .NET app doing the message exchange work reading from a very simple database schema. /// to send the message to the Queue. /// Launch the threads for reading from external service. /// to the MQ here. For http, open http connection here. /// Disconnect from external provider. Eg close connection to MQ or http. /// or implement some custom code for handling a reconnection scenario. /// polling an http endpoint here. /// The blocking call must not block more than the given timeout. /// Send a message to destination. Destination can be a MQ. /// can be recovered from. For example, connection dropped. /// failure. Return true if the connection was recovered. Omar AL Zabir is the Chief Architect of SaaS Platform at BT, UK. He was the co-founder and CTO of a popular Web 2.0 startup – Pageflakes, that got acquired by MySpace founder. Omar is a Microsoft MVP and CodeProject MVP. He writes articles mostly on AJAX and .NET Performance & Scalability. Omar has published “Building a Web 2.0 Portal using ASP.NET 3.5” from O’Reilly. He has several popular Open source projects and blogs at his site http://omaralzabir.com. Most of the developers are familiar with the auto completion text feature available in browsers, search controls and other controls. The auto completion feature is when you start typing some characters in a control, the matching data is loaded automatically for you. In Visual Studio 2005, some of the controls support this feature including the ComboBox and the TextBox controls. By using these features, we can build Internet Explorer like auto completion functionality in our Windows Forms applications. Now, we can have a combo box that completes URLs as soon as you type any character. For example, in Figure 1, I typed “c-s” and I see all the URLs starting with “c-s”. AllSystemResources – Specifies the equivalent of FileSystem and AllUrl as the source. This is the default value when AutoCompleteMode has been set to a value other than the default. AllUrl – Specifies the equivalent of HistoryList and RecentlyUsedList as the source. CustomSource – Specifies strings from a built-in AutoCompleteStringCollection as the source. 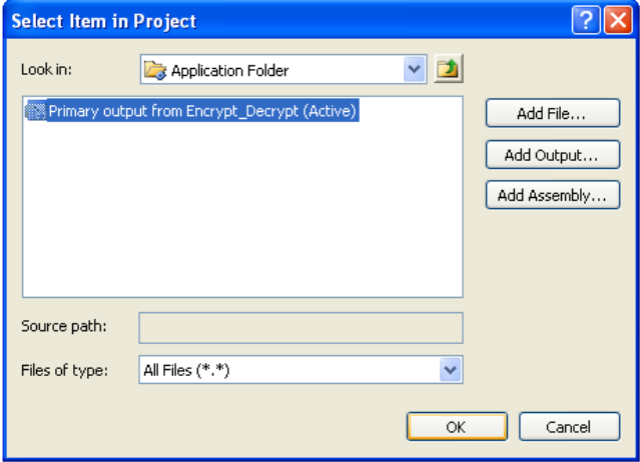 FileSystem – Specifies the file system as the source. FileSystemDirectories – Specifies that only directory names and not file names will be automatically completed. HistoryList – Includes the Uniform Resource Locators (URLs) in the history list. ListItems – Specifies that the items of the ComboBox represent the source. None – Specifies that no AutoCompleteSource is currently in use. This is the default value of AutoCompleteSource. RecentlyUsedList – Includes the Uniform Resource Locators (URLs) in the list of those URLs most recently used. Append – Appends the remainder of the most likely candidate string to the existing characters, highlighting the appended characters. None – Disables the automatic completion feature for the ComboBox and TextBox controls. 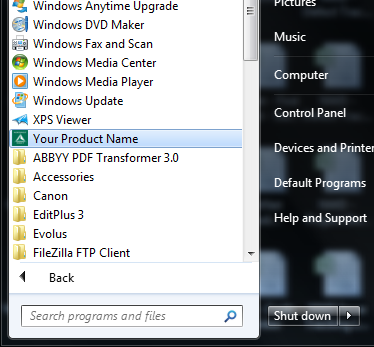 Suggest – Displays the auxiliary drop-down list associated with the edit control. This drop-down is populated with one or more suggested completion strings. SuggestAppend – Applies both Suggest and Append options. 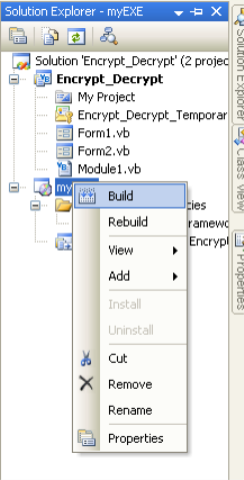 And when I run and type “v” in the combo box, I see VB.NET Heaven. See Figure 5. Now running the sample and typing “m” in the ComboBox loads the data as shown in Figure 6.